Diamonds are amazing, and we love them for their brilliant sparkle, but we just cannot ignore the fact that they may be getting a bit envious of a close friend — Swarovski crystal. 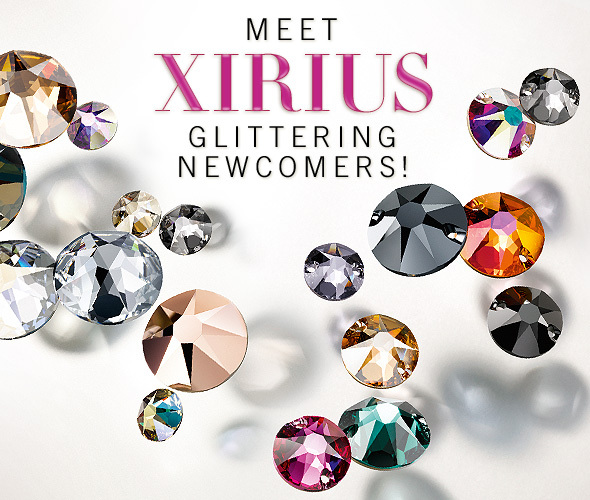 Swarovski just announced the new crystals called XIRIUS, and this collection is taking crystal one step closer to their fabulous friend, the diamond. Seriously, this is some major WOW!! We at Sparkle Plenty Designs, can help you and your brand sparkle in XIRIUS or premium rhinestones. Let us help you show off your brand, event, business, team, or passion to life in amazing sparkle! Contact us at 215.389.1877 and visit us at Sparkle Plenty Designs, and let’s see what we can BLING to life in your world! p.s. be sure to check out our line of Swarovski crystal bracelets, too! This entry was posted in body crystals, crystal home accents, Crystallized, crystallized linens, crystallized pillows, crystals for body, custom logo shirts, custom logo-wear, gifts for girls, gifts for moms, promotional apparel, promotional products, Swarovksi Crystal Shirts, swarovski body bling, swarovski body crystals, Swarovski body tattoos, swarovski bracelets, Swarovski Crystal, swarovski crystal bracelets, Uncategorized. Bookmark the permalink.